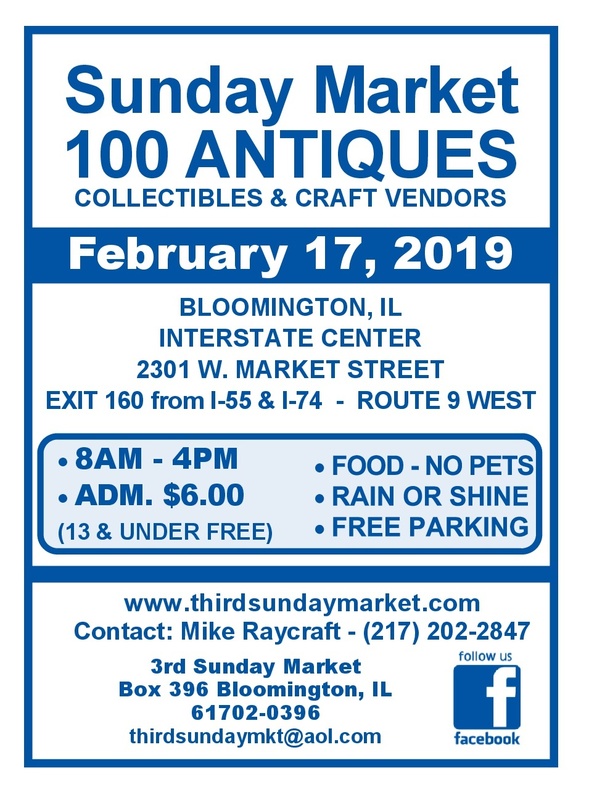 The Sunday Market Antiques show is scheduled for February 17th, 2019. It will feature 100 of the Midwest's finest antiques, collectibles, vintage, repurposed, and craft dealers. It will be held at the Interstate Center in the West Expo and Mini Expo Buildings. For dealer information, contact Mike and Emily Raycraft at 217-202-2847.